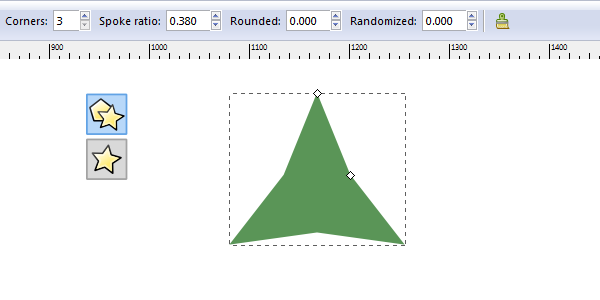 To start, let’s grab the Polygon tool and select the Star shape. Now, change your settings to match mine below and hold Control while you drag to create this triangle shape. Give this a nice green color, of course. With the triangle still selected, head up to Path > Object to Path to create some nodes. Grab the Nodes tool and select the middle nodes on all sides, then click Make nodes symmetric. This will curve the paths and allow you to adjust them to look something like mine below. I dragged a Guide down from the top ruler to keep my handles even. Now we need to create a shadow. To get started, duplicate (Control+D) the triangle shape. 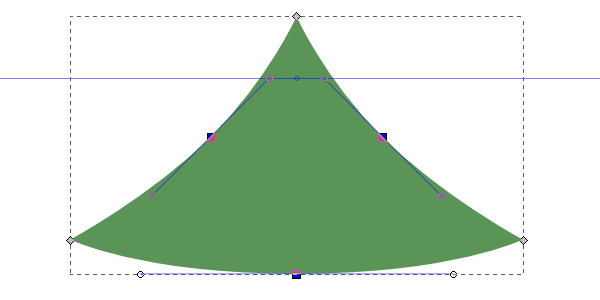 Next, get that Pen tool out and draw a simple curved line over this new triangle. Select both the triangle and the line, then head up to Path > Division to make the cut. You’ll end up with two shapes – grab the shadow shape and discard the rest. Then, position the shadow shape over the original triangle (using Object > Align and Distribute will make this much easier). Give the shadow shape just a slightly darker green color. Now that we’ve got our tree part, we can simply duplicate a few of these, resize, and position accordingly. 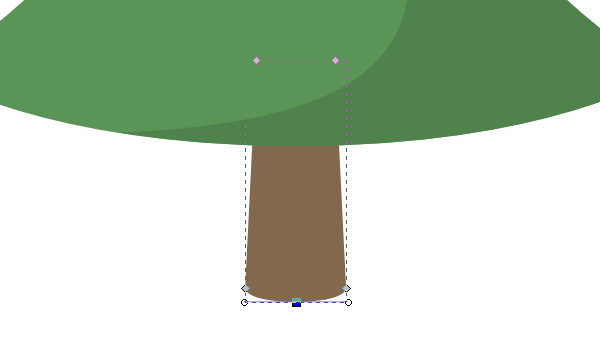 Next up, grab the Rectangle tool and draw a simple brown, tree trunk shape. Let’s also Path > Object to Path this square. With the Nodes tool, adjust the shape to look a little more trunk-like. Of course, we need a shadow for the tree trunk also. We’ll be doing the same method as before, so go ahead and draw a line over a duplicated tree trunk and Divide. Position the shadow shape over the original tree trunk with Align and Distribute and darken the brown. So to start drawing the pot, draw a couple ovals over each other with the Ellipse tool. Once again, let’s run Object to Path on both of these. To create a pot shape, select the Nodes tool, select the side and bottom nodes, and then Add nodes. Grab the bottom nodes and drag them down to create the pot. You guessed it… another shadow! Now just position the shadow on the pot. Well, let’s just start with a star on the top. Grab the Polygon tool again and set your settings to mine below, then simply draw a bright yellow star. Now it’s time to draw those simple round ornaments. Start with a red circle and a white oval for a reflection. And for the final time, let’s give this ornament a shadow. To polish it off, add another circle behind the ornament that has the same tree shadow green. Now just duplicate a bunch of these and place them anywhere you want! All that’s left to do is add some sort of cool snowflake background to finish the scene. Looks great! 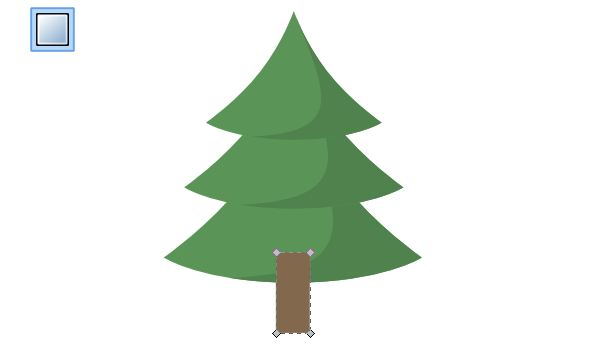 That finishes up our Christmas tree drawing tutorial in Inkscape. 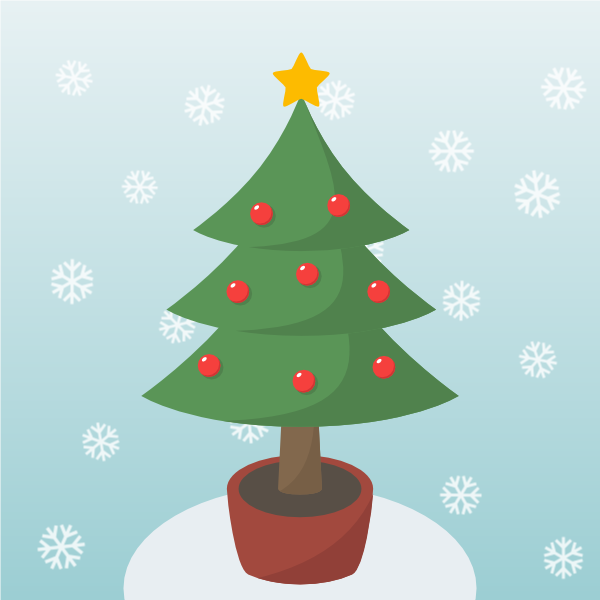 Our end result is a nice, simple looking Christmas tree with a clip art style to it. I hope you had fun with this one!